The first thing that came to my mind when thinking about connecting dots was the nursery assignment of my daughter where she would connect dots to create letters or to complete the image of an animal or some object. Connecting dots is kids’ stuff. Why should I give too much attention to it is what I thought for a moment? However, at the very next moment it struck upon me that, what my daughter does to get a final picture, is something that we as grown-ups can do to arrive at a conclusion about our life. We too can connect dots from our past with the dots in the present to get a clear picture about our future. When should you connect the dots? Whenever you feel lost and not sure where our life is heading, we should connect the dots. At times, just thinking about my journey from my childhood days until the present helped me to understand things from a different perspective. How I overcame challenges and obstacles in the past and reached where I am today helped me to look at today’s challenges from an observer or a witness perspective rather than someone who is involved. 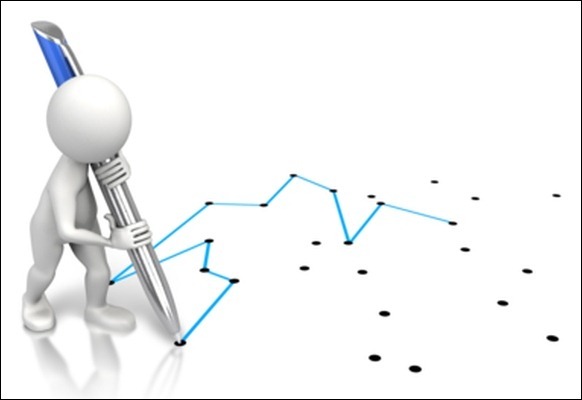 Whenever you reach a point in your life (personal or professional); where you are not sure about the next step, you should connect the dots. Who is responsible to connect the dots? Why is it necessary to connect the dots? Knowing your life purpose is a good objective to achieve by connecting dots. To figure out why we are here on this planet and what role do we play in the game of life. We all are here in this world to play specific roles. If we are not playing that role, we get frustrated. We feel out of place. These are the times that we should connect the dots. Analyze the past, see what can be done in the present to identify and align with your life purpose so that the future is spent towards fulfilling your life goal. How can one connect the dots? Contemplation is what you can do to connect the dots. Spending some time alone every day without any worldly distractions is a good exercise one can take up. Especially at the very start of the day spending some time with yourself, devoid of any invasions to your privacy, at some peaceful location can help you to get clarity about your life and connect the dots. So, when are you connecting the dots?